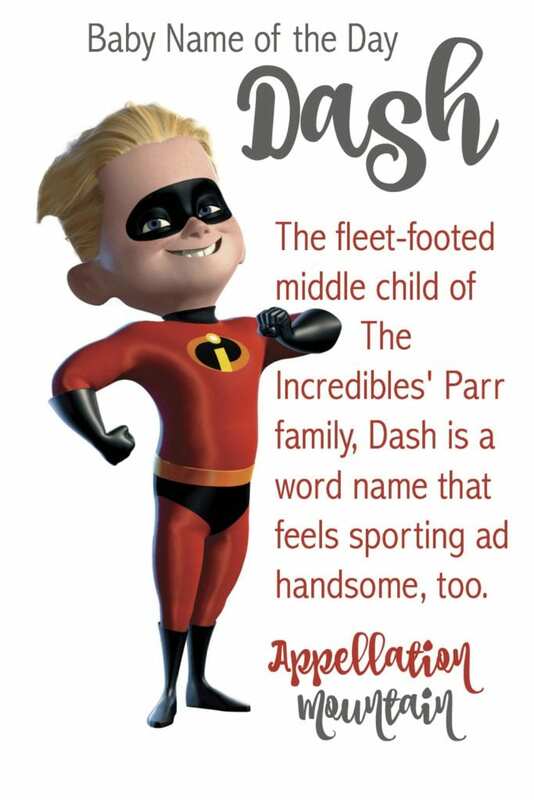 Dash is an active name for a boy, boosted by a fictional superhero. Disney Week continues with this short, upbeat Baby Name of the Day. This name might not be under consideration at all, if not for the writer, born Samuel Dashiell Hammett. The middle name was a family surname on his mother’s son. Hammett dropped the more ordinary Samuel before he penned bestsellers like The Maltese Falcon. Hammett makes the name literary and lends it a certain edge. But the author couldn’t make it a mainstream favorite. 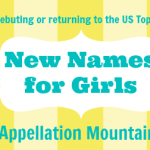 Fewer than five boys were given the name every year, up until 1979, when this name finally started to slowly catch on. What Hammett couldn’t do for the name, young Dash Parr would. In 2004, we met The Incredibles – a family trying very hard to be normal, despite their super hero status. Dad Bob had once been the widely admired Mr. Incredible. Now and wife Helen – formerly known as the equally heroic Elastigirl – are married with children. Their three kids all have superpowers, too, but they’re keeping it on the down low. It’s not all white picket fences. The government has suppressed their crime-fighting, thanks to worries about all of the collateral damage done when super-powered types duke it out downtown. Bob is bored, and the three kids don’t know how to use their superhuman abilities. Dashiell Robert Parr is the second-born, a ten year old boy who can run faster than fast – he can even run over water. He’s mischievous, even reckless, and frustrated that he can’t play sports – because it would instantly be obvious that the Parrs are no ordinary family. The other Parr kiddos are Violet – who is shy, and can become invisible, and baby Jack, who has all sorts of powers, including the ability to shape-shift. When the family has no choice but to take on a villain, they all work together to save the day. The Parrs are due back on the big screen for The Incredibles Two, slated for release in the summer of 2019. To hurry – to make a mad dash, or to write out a note quickly. Broken, as in broken dreams. Think of dashed hopes. Handsome or showy, as in dashing. With slap, it can mean careless. With board, it means control panel. It’s an interesting collection of associations, but the positive ones – handsome and quick – tend to be the more familiar. In some cases, this can also be a surname for someone who lived near an Ash tree: D’Ash. Or it might be short for a longer name. Samuel Dash, the lawyer during the Watergate investigation. His parents immigrated from Russia, changing their name from Dashevsky in the process. While Dashiell has long been on my list of names to watch, it’s just Dash that entered the US Top 1000 in 2014, and rose dramatically in 2015. Over 300 boys were given the name in 2015, close to double the number receiving the longer form. What explains the mini name’s rise? 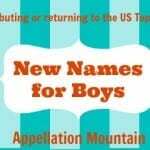 It’s a brisk, modern, one-syllable name for a boy. It owes something to the popularity of Cash, too. If you’re after an energetic, moder name for a boy, this is one to consider. Do you prefer Dash or Dashiell? I suppose I prefer Dashiell, but I’m not really in love with either. Dash just doesn’t sound like a name to me, it’s a word name that remains mostly “word” to my ear, I guess. Dashiell looks nice written down but I find it clunky to say and people want to pronounce it “Dashy-yell” too often for me to really like it.